Review: Full Tilt Poker has slowly and methodically built itself up into being the second largest online poker room in the world. 2. An aggressive sign-up bonus. 3. 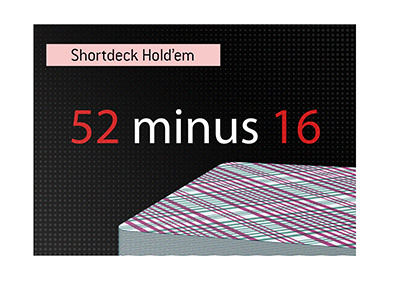 The biggest online cash games of any site in the world. 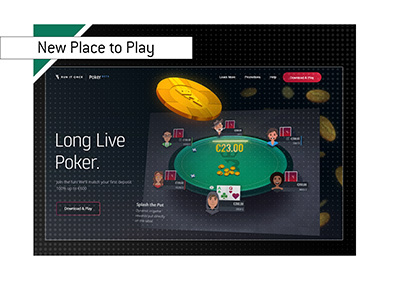 These three things have combined into making Full Tilt Poker one of the largest online poker rooms in the world. -100% signup bonus of up to $600 for new customers (don't forget to use the "referral code" of THEKING when signing up to qualify). -a roster of sponsored pros that includes some of the biggest names in the world (Hansen, Ivey, Antonius). Overall I believe that having an account at Full Tilt Poker is a MUST for any online poker player. You need an account at both Pokerstars AND Full Tilt Poker, or you are missing out on too much action. 1. Download the Full Tilt Poker software. 2. Sign up for an account. 3. 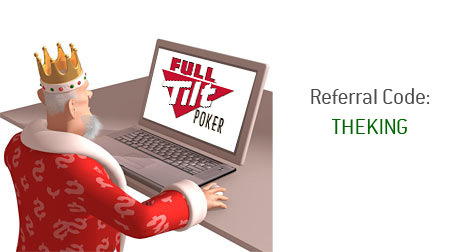 When prompted for a Full Tilt Poker Referral Code, enter THEKING. 4. Deposit real money onto the site. REMEMBER: the size of your INITIAL deposit on the site determines the size of your bonus. 5. "Earn" your bonus by playing in real money cash games, SNGs and MTTs. Have fun at Full Tilt Poker, and don't forget to look for the King on the tables!